This beautiful replica cockade is made from black petersham ribbon and measures 3.5" (9 cm) across. 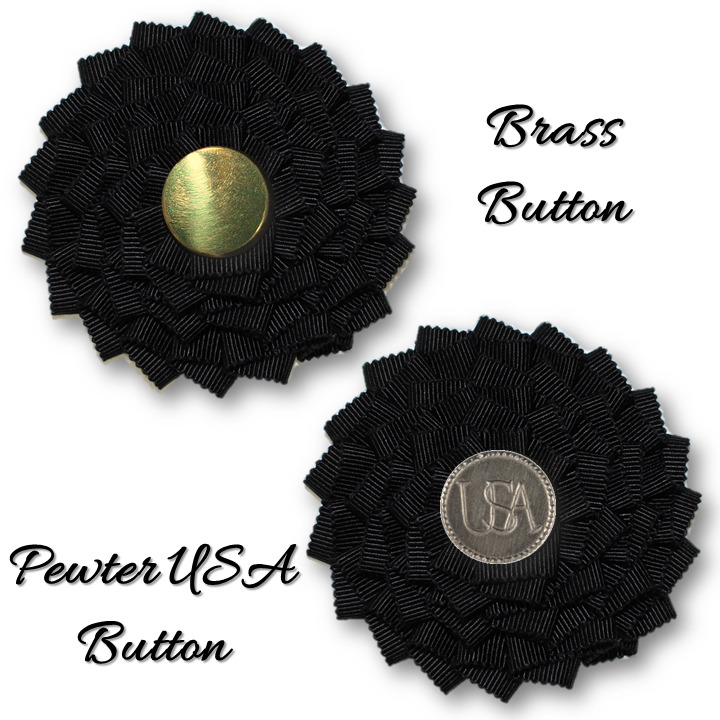 Choose backing style and a brass button or pewter USA button for the center. Hand-sewn onto period buckram. Approximately 4" (10 cm) across. Optional felt backing and silver-plated pin back. Not all military personnel had the regulation cockades, however. Some units were poorly equipped. Many militia units created their own form of the American black cockade. The original cockade in the third photo belonged to James Thompson, a soldier during the War of 1812.